German bonds tumbled on Wednesday, pushing 10-year yields above 1% for the first time since September. The move is the latest landmark in a sharp selloff in eurozone bonds that began in mid-April and has found renewed impetus over the past week. Ten-year yields on German bonds, known as bunds, were 0.03 percentage point higher at just below 1% midmorning, having earlier shot as high as 1.05% in choppy trading typical of the last two months. Yields rise as prices fall. 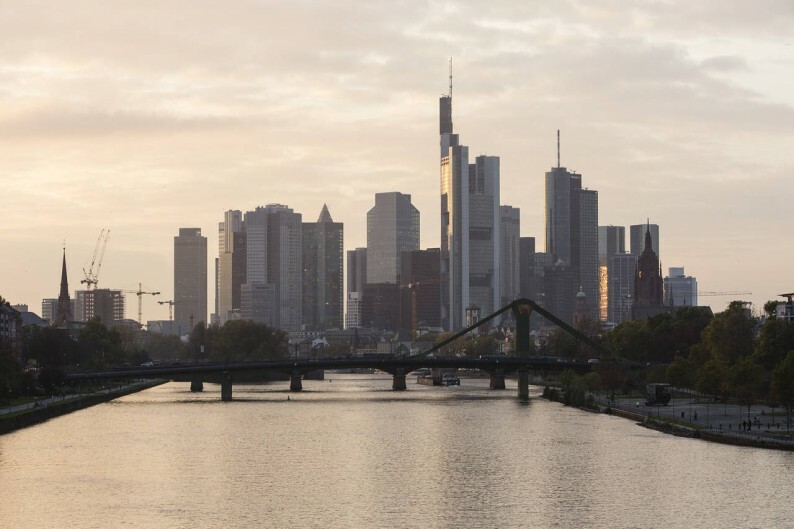 As recently as mid-April, yields bottomed out at 0.05%, with many investors assuming a move into negative territory was just around the corner as the European Central Bank’s bond-buying program drove bond prices higher. That rally has unraveled fast as an improvement in the eurozone economy and a pickup in inflation expectations made investors reluctant to buy at ultralow yields. Price inflation erodes the value of bonds over time, and the slide toward negative yields had been driven by fears the euro area would slip into a deflationary spiral. “Yields were far out of line with Europe having a functioning economy,” said Mads Pedersen, head of discretionary asset allocation for UBS Wealth Management, which oversees about $2 trillion of assets. “It’s much more comfortable to be in a world of 1% yields than 0% yields. Markets have much more confidence now that the ECB has the right tools to get the economy going,” he said. Some major investors say the selloff could have farther to run. Yields “just look too low,” Andrew Balls, Pimco’s chief investment officer for global fixed income, said on Tuesday. He said they had looked “ridiculously low” a couple of months ago. “We expect a gradual rise” in yields in the coming months, he added. The big swings in markets are keeping some potential buyers on the sidelines. “I think 1% is an overreaction,” said Eric Vanraes, who manages roughly $450 million of bond funds for investment company EI Sturdza. “We would like to buy, but to buy you need cash. Institutional clients are paralyzed at the moment—they don’t want to buy bond funds with this much volatility,” he said. The selloff in bond markets has also weighed down equities over the past week, but stock markets rebounded slightly on Wednesday. The Stoxx Europe 600 was 0.4% higher after six straight days of declines. Germany’s DAX was 0.2% higher after entering a correction earlier in the week, meaning it has lost more than 10% since its mid-April high. France’s CAC-40 was up 0.2%, while the U.K.’s FTSE 100 rose 0.3%. Can The U.S. Raise Rates When Everyone Else Is Cutting Them?